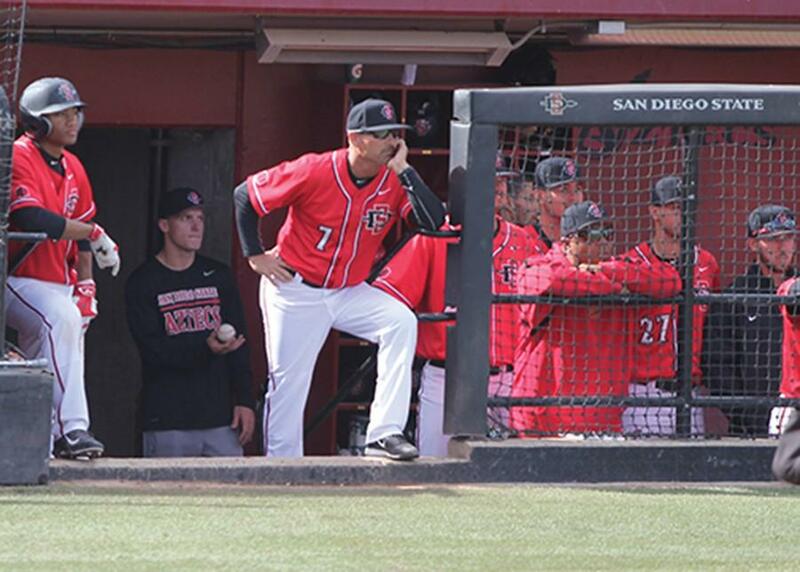 Head coach Mark Martinez looks on from the dugout during the 2016 season. 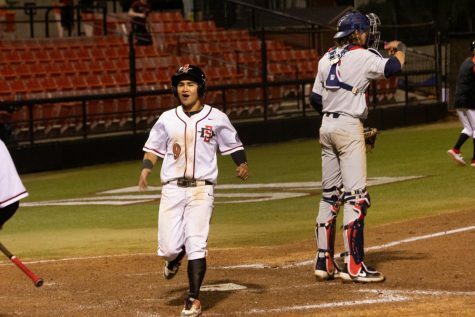 San Diego State baseball head coach Mark Martinez has received a five-year contract extension, which will keep him at the helm through the 2023 season. 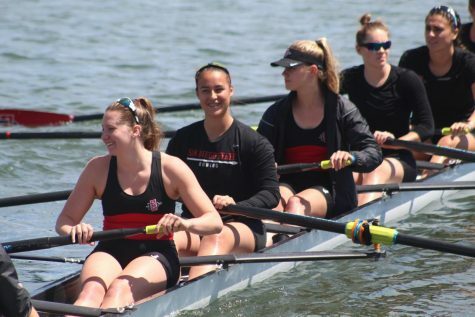 The extension was announced by SDSU athletic director John David Wicker on Aug. 14, following a year in which Martinez became the fastest head coach to reach three Mountain West Conference Championships, doing so in four seasons. 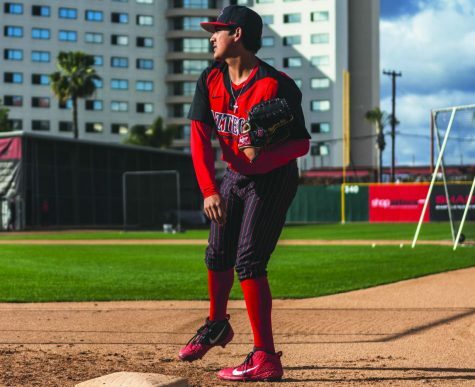 Martinez has been a part of the Aztecs coaching staff since 2006, but was promoted to the head coaching role for the 2015 season following the passing of legendary head coach Tony Gwynn in June of 2014. 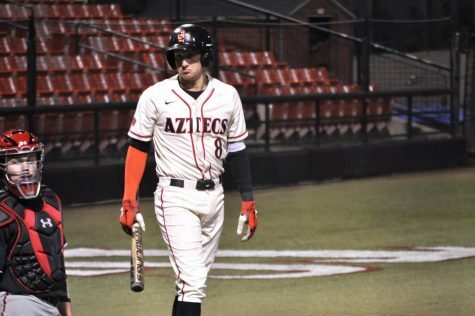 Martinez made sure to mention Gwynn, his close friend who he joined as an assistant at SDSU after a 17-year stint at the University of New Mexico from 1989-2015. 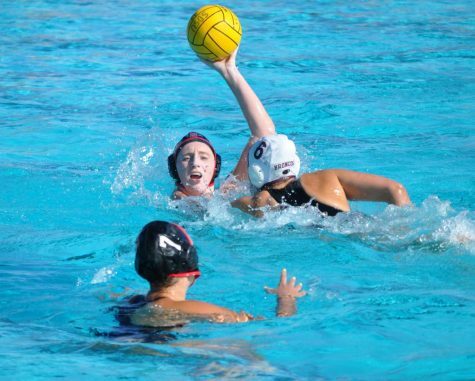 Martinez has a career record of 143-103 since taking over as head coach, and is coming off a 39-win season and the Aztecs’ fourth MWC championship in five seasons. 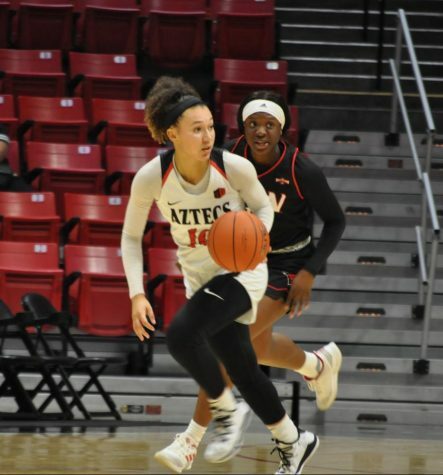 Martinez attributed much of SDSU’s recent success to the stability that the team has enjoyed between himself and his assistant coaches Joe Olivera and Sam Peraza. 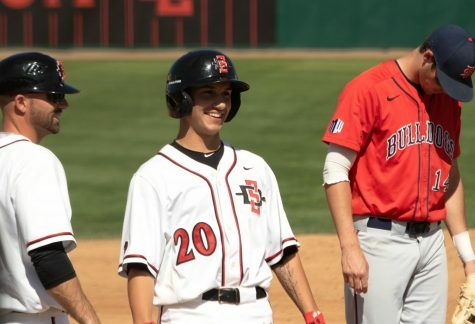 Olivera has worked as the hitting coach and recruiting coordinator since 2014, while Sam Peraza has been the Aztecs pitching coach since 2015. 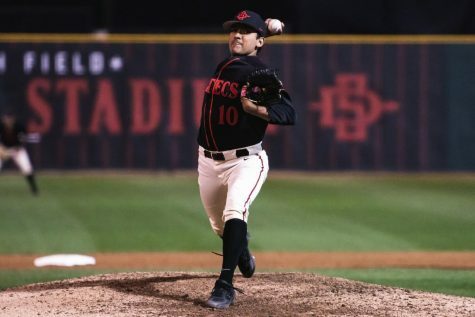 Despite coming off a conference championship and nearly reaching 40 victories, SDSU was unable to advance past the NCAA regionals in May, and Martinez said that by signing the extension the university is making it clear that it wants to further compete on a national level.